Chris Pine is Men's Health June cover guy. 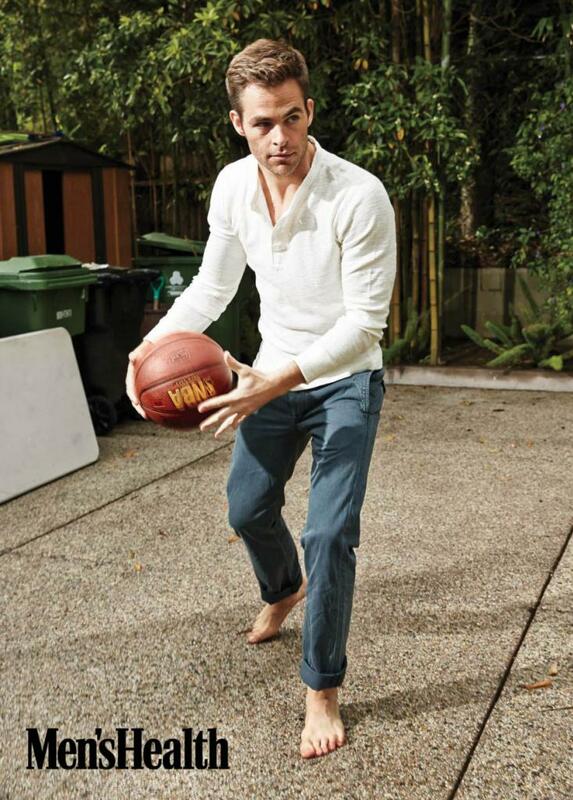 Here is what the 32-year-old Star Trek Into Darkness actor had to share with Men's Health. I work out because that’s my job. What I enjoy about it, beyond the vanity, is the Zen of it. I like getting out of my head: One great way is to sweat your face off. I appreciate that if you’re thinking of anything else, you’re not working intensely enough. Just looking at a girl felt awkward. When you feel like an oddball, it never really leaves you. Even now, I’m better around people who are uncomfortable with themselves, the misfits. I cry all the time—at work, at the shrink’s, with my lady. The Notebook killed me. Up destroyed me. Up was like the animated Amour. Steak: Sear the meat to create a few nice lines. Know how long to grill it so you only have to flip it once.